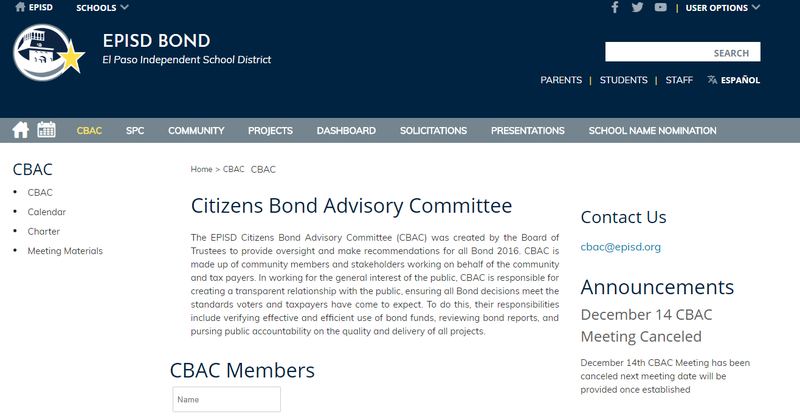 EPISD has a citizens bond advisory committee (CBAC) that has been silent about the recent audit findings. According to this they missed the December meeting and did not have one in January. Maybe they are waiting for things to cool down. This entry was posted on Wednesday, January 31st, 2018 at 5:00 AM and is filed under El Paso Independent School District. You can follow any responses to this entry through the RSS 2.0 feed. You can leave a response, or trackback from your own site.